Blizzard Customer Support continues to address login issues and other launch problems. The newest expansion for World of Warcraft, Battle for Azeroth, is finally live. Whether it delivers on months of anticipation and story-telling (especially given some of the more controversial twists as of late) remains to be seen. But it’s new World of Warcraft content, the game is back on top of the Twitch directory, and all is right with the world. Well, almost- launch issues impede some players from logging in or fully enjoying the game. Blizzard Customer Support has been dealing with the numerous issues cropping up, including failed or slow login attempts, and players not receiving the Heart of Azeroth (a core component of the new expansion). Expect more updates, especially as the development team makes progress on the login issues. 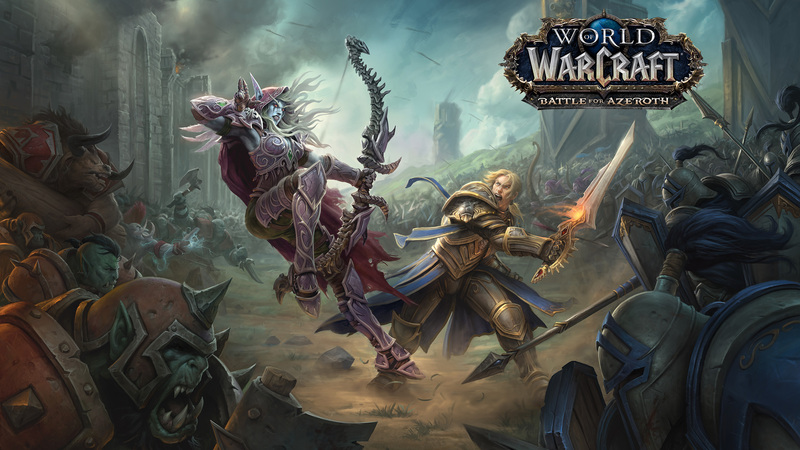 World of Warcraft: Battle for Azeroth launches with an increased level cap to 120, new Allied races, Warfronts for 20 player PvE action, new Island Expeditions for three-player groups, and much more. The first raid debuts in September. What are your thoughts on the expansion? Let us know in the comments. [#Warcraft] We're currently investigating an issue affecting our authentication servers, which may result in failed or slow login attempts. [#Warcraft] We apologize once again for the inconvenience caused by today's outages. We're working to resolve this as quickly as possible! [#Warcraft] We continue to work on a solution for ongoing login issues. We're working to address this as quickly as possible. Tichondrius will be undergoing a rolling restart to test some changes shortly. [#Warcraft] Our Dev team has made some headway on today's login issues, but we're still working on a resolution. We'll continue providing updates as soon as new information becomes available.